Hi everyone! 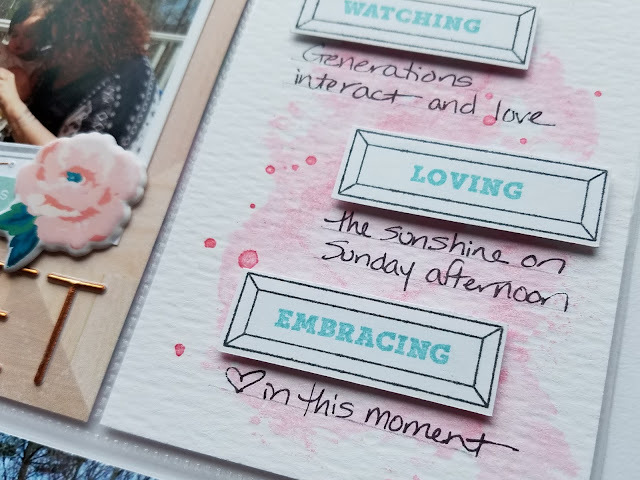 It’s Melissa Renkawitz, your Guest Designer for May, here to provide you with this week’s 3-to-Inspire challenge. 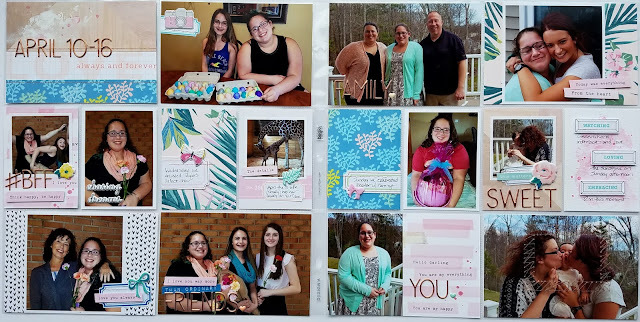 First let me share my overall layout with you, for which I used the May "Brighton" Scrapbook Kit. The main kits are really versatile, and can be used for so much more than traditional layouts! I actually used the main kit only, to create this Project Life layout. 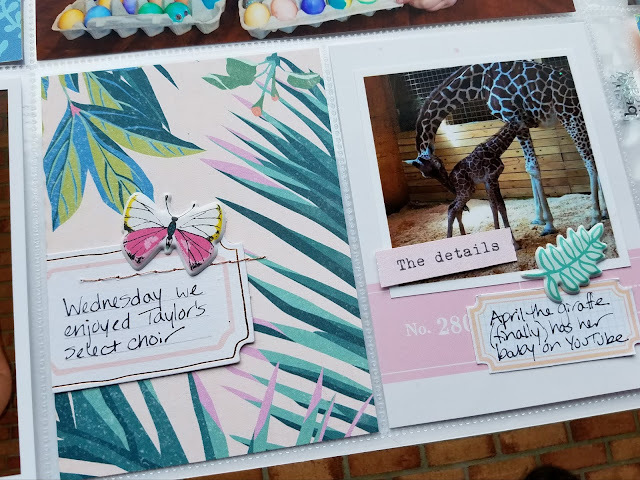 In lieu of pre-made journaling cards, I used a lot of labels throughout the layout. The Pinkfresh die-cut pack in the kit included several labels which I used, in addition to some labels from the Citrus Twist cut-apart sheet. Sometimes I’m not in the mood for lengthy journaling and labels are the perfect size to add just a bit of info. So that’s your first point of inspiration- use labels! A side note, that base card under the giraffe photo above is actually a piece of packaging from the puffy sticker set in the kit! Below, the card on the left shows another use of a label, this time just acting as the base for a small cluster of words and embellishment. The card on the right brings us to our next point of inspiration- use stamps as journaling prompts! To create this card I used a few stamps from the stamp set provided in the main kit, stamped them on a scrap piece of cardstock, and cut them out. I then adhered them to a watercolor background using pop dots to give them some dimension, and added my handwritten journaling in-between. 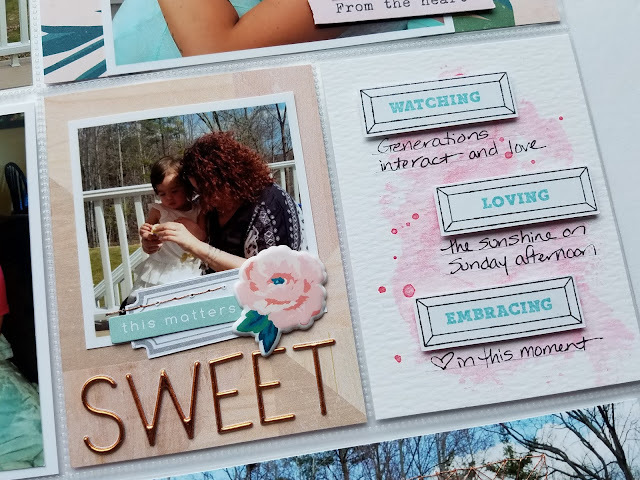 I really love how this card turned out! Finally, we move on to our last point of inspiration. On my photo below, you will see a very subtle stitched frame. I liked the photo, but wanted to highlight the center of the image a bit. 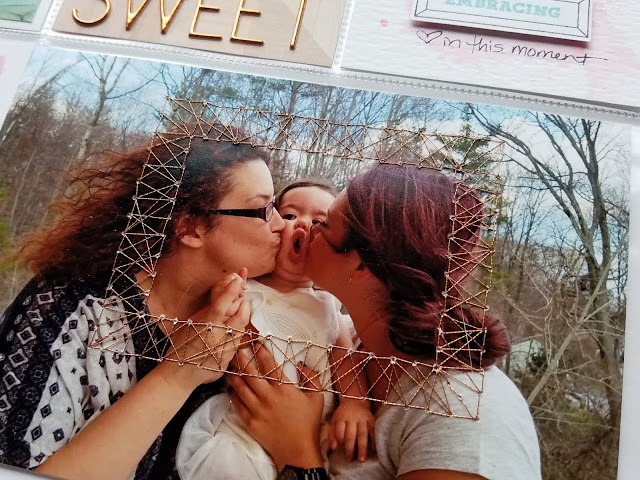 Using a copper thread (to coordinate with other copper accents in the layout), I hand stitched 2 “boxes” to create a frame around the area I wanted to highlight. Then like “string art” I randomly added stitching between the inner and outer box. It’s a subtle effect but adds a nice bit of interest (especially with the metallic thread!). So that’s your last point of inspiration- stitch directly on a photo! Now go grab some supplies and play along, we’d love to see what you create! For a change to win some happy mail from Citrus Twist, create a project using the three prompts and upload it to our gallery with today's date (5/6/) in the title.